Nissan is coming out with another interesting suv type vehicle, The Juke, and just like last years Cube this car sure looks unique. With the cube it was pretty easy to see that Nissan was trying to scrape some off the top of the Scion ‘box’ market but with the Juke I am not 100% sure on where they are thinking of going. Personally I think the styling is a little too far out there for the average soccer mom, and a little too soccer mom for the average car guy, however the render I below may have swayed me some. If this is not real, someone should make it real. While the exterior doesn’t really appeal all that much to me the drive train does, awd 1.6l Turbocharged engine with 190 HP and 180 ft-lbs of torque. 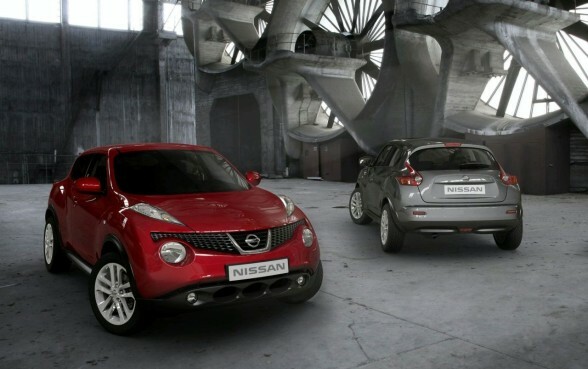 What do you think, will the Juke pick up a solid following or go the way of the Aztec? 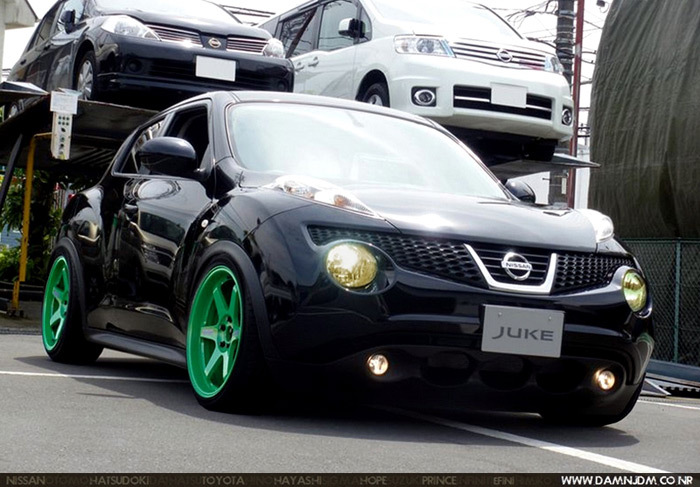 Furthermore where do you think Juke power plants will end up in a couple of years? For some reason I really like these. So weird, they’re awesome. Joe I agree, I think the lights on the top make it look frog like. just confirms my thoughts that ANYTHING looks good in black, lowered and sweet rims! this thing actually looks pretty sweet. it has a nice urban citygoer look, but with that crazy drivetrain it definitely takes the cake for sick rally vehicle which i want so bad. Glad you guys liked our Juke. Its a photoshop indeed. We were just wondering what it would look like with some nice rims and slammed. I didn’t know what to think of them when I first saw pictures…but that rendering/photo of the black one with the green Volks is all I had to see. That is gorgeous. Well now I see the previous comment, so it is a rendering. But as it was said in the post, make it real!